Warren House - The tavern originally built by James Pitts in 1789 on Main Street north of Horicon Avenue was sold to Jasper Duell about 1800. In 1804 Duell sold to James Warren, who named it the Warren House. James Warren died in 1811 but his wife Melinda carried on the business. In 1814 a new building was erected, with additions coming in 1838 and again in 1854. 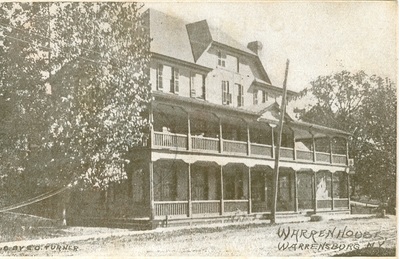 It remained in the Warren family until 1866. After 1866, it was sold several times until, in 1878, John Heffron purchased it. Heffron made many repairs and renovations but the building burned in 1888. He sold the property to Alfred Brown, the former proprietor of the Riverside Hotel, in 1891. 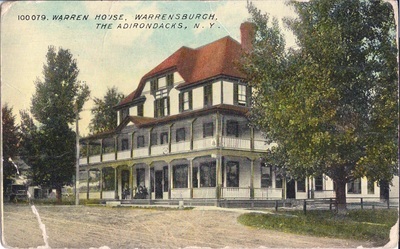 Plans for a new building to accommodate fifty guests were drawn by H. I. Dwyer of Glens Falls and the hotel opened in late May, 1892, keeping the name Warren House. According to the Warrensburgh News, "The building will be three stories high with a double piazza in front and on the south end. . . . The first floor will be finished in hard wood. On the second floor will be situated the bath rooms, etc. The sleeping apartments on the second and third floors will be commodious and well lighted." 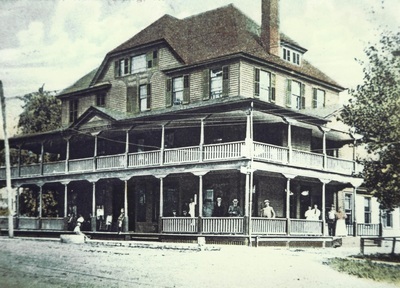 After a series of owners (Alfred Brown to Ashley Kellogg to G. C. and G. R. Waters to Maurice O'Connor), it was again destroyed by fire on April 21, 1921. The Warrensburg News reported that the fire was suspicious since a town-owned reel of hose stored at the hotel was found slashed the week before. In addition, the heavy brass nozzle was pounded and so distorted; it could not be attached to the hose. Maurice O'Connor Sr. was born in Duagh, County Kerry, Ireland in 1859, the son of Phillip O'Connor and Johanna Doody. 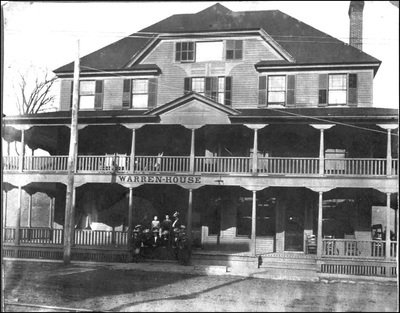 In 1864 his family arrived in America where they first settled in Hoboken, N.J. In the early 1870s the family moved to Horicon where they farmed with relatives. He married Emma Dupree around 1886. They had three children: Maurice Jr., Evelyn, and Kathryn. 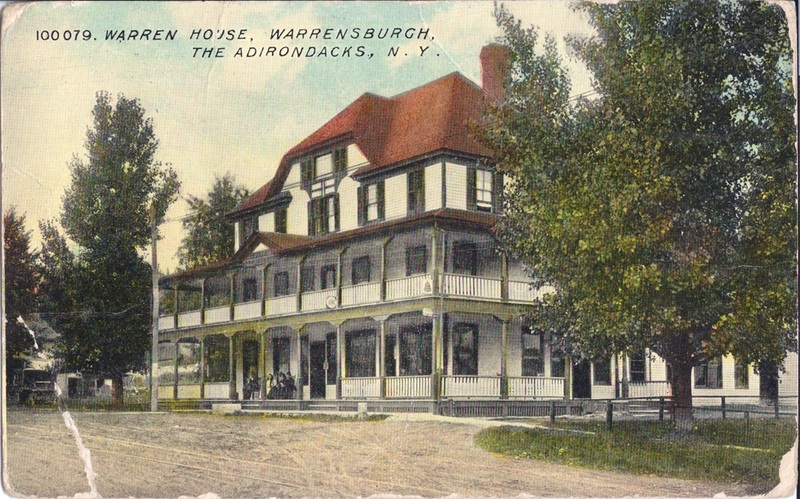 In 1889, he ran the Windsor House in Schroon Lake. He took over operation of the Ondawa in 1890, later partnering with his brother Michael until 1895. 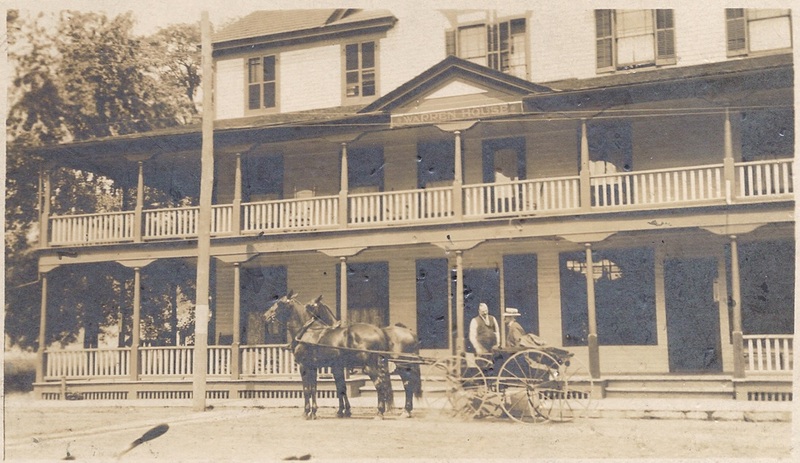 In 1896 he left the Ondawa and worked as hotel clerk in Glens Falls and Saratoga. 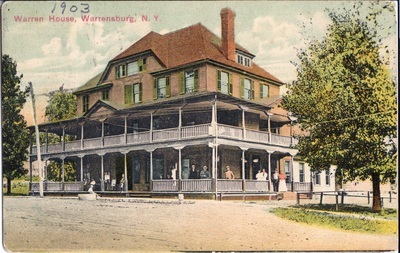 Maurice remarried in 1901 to Elizabeth Mahoney. They had one son, Edward. 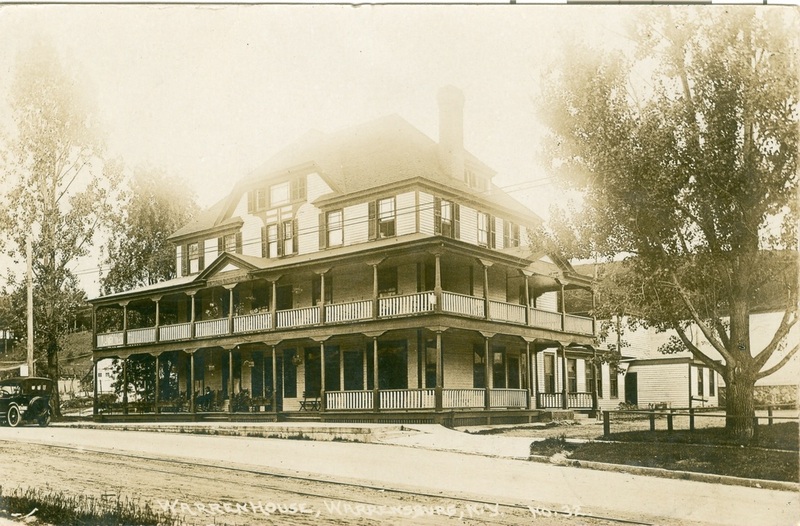 In 1902 he opened a restaurant in Sandy Hill (Hudson Falls) and later ran the Parkview Hotel there. 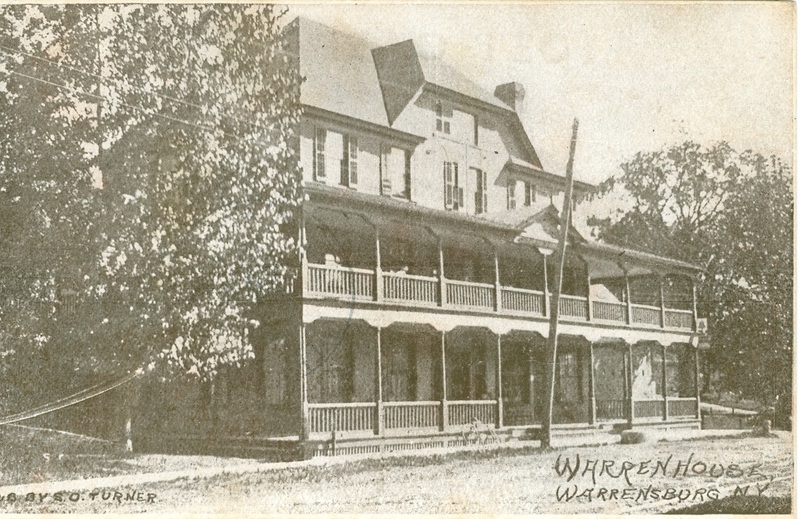 Maurice moved to Warrensburg looking for a business opportunity and took over the Warren House in 1906. He ran the Warren House until it burned down on April, 12 1921. He ran for town supervisor in 1923 as a Democrat and was defeated. After he retired, he spent his winters in Florida. Maurice died July 26, 1932. Pete Prespare's Taxi Service and Gas Station were owned by Nelson "Pete" Prespare and his wife, Evelyn (Manley), who were married June 30, 1929. They had two daughters, Beverly and Yvonne, and a son, Norman Eugene, who died in 1943 at age 13. 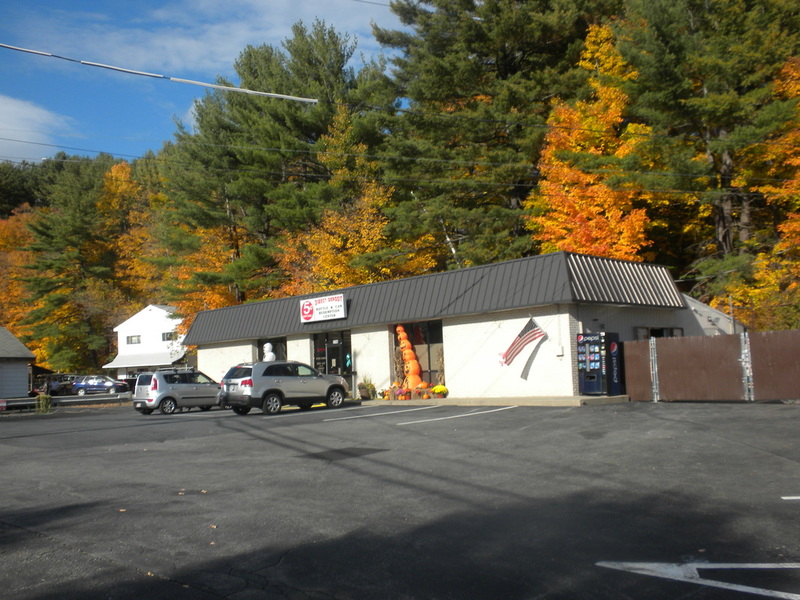 The building, where Direct Deposit is currently located, was formerly the Walter Pratt Service Station, purchased by Prespare sometime between 1942 and 1947, and was sold to the Stewart's Shops in 1969. The Taxi Service began in the early 1950s and continued through the end of 1982. Sovair Oliver ("S.O.") 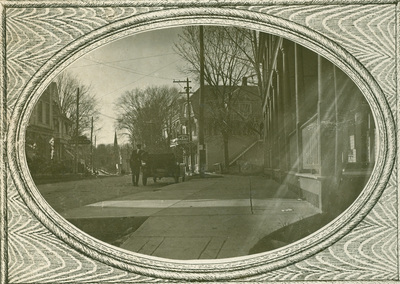 Turner came to Warrensburg in September 1896 at the age of twenty-five, having purchased his father’s (Alexander V. Turner) harness business in Crown Point the previous January. 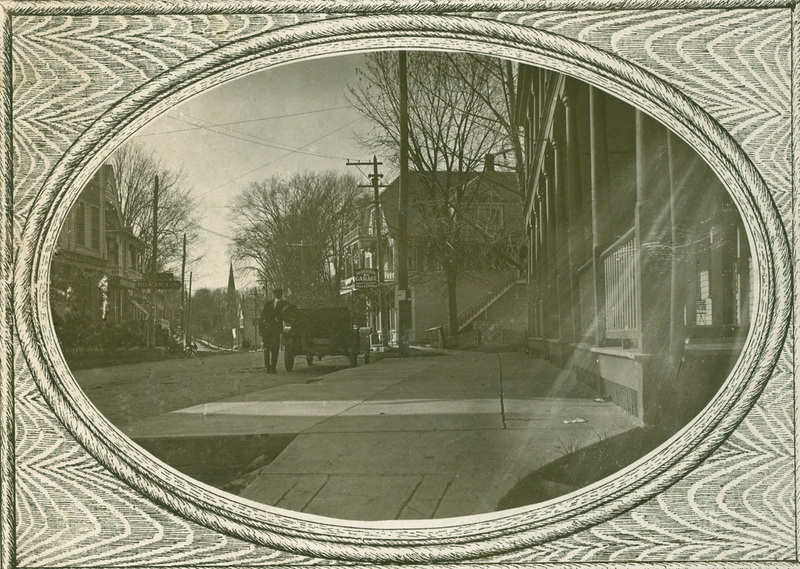 He expanded his store in Warrensburg three times, finally ending up in the Potter Block (New Way Lunch parking lot), which he purchased from J. W. Potter in 1903. 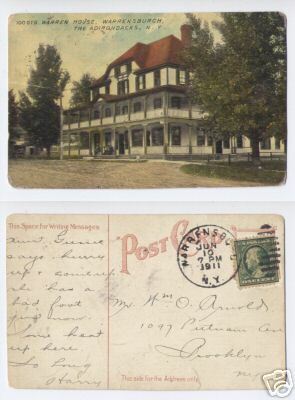 Turner's Department Store was one of the larger retailers in Warrensburg, selling, in addition to harnesses and numerous livery items, cameras, phonographs, musical instruments, trunks, sporting goods, fishing tackle, even wallpaper and window shades. While still in Crown Point he had married Sophia Smith. They had two children, Walter and Blanche. 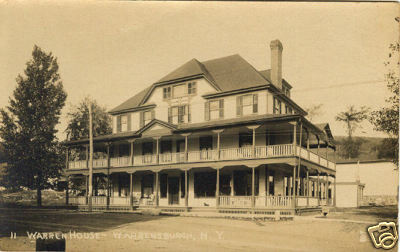 He closed the store in 1910 and moved to Glens Falls where he became a nation-wide dealer of antique furniture. That same year Harry Lavine moved his store from the Crandall Block into what had become known as the Turner Block. Young’s 5 & 10 - On March 21, 1952 Mrs. Hannah Young opened "Young's 5 and 10" at 43 Main Street (now New Way Lunch parking lot), sharing the building, purchased from Joseph Lavine by Hannah's brothers, Morris and Irving Rosenberg in 1953, with Clyde Farrar's pharmacy. The store sold toilet articles, school supplies, greeting cards, hardware, infants' wear, yarns, kitchenware, women's, men's and children's socks, underwear, work clothes, and more. The store survived her death on October 24, 1962 and became known as Potter's 5 & 10, under the ownership of Richard and Lorraine Potter. Hannah Young was an active member of the Warrensburg Chamber of Commerce as well as a member of Queen Village Chapter, Eastern Star and Hackensack Rebekah Lodge 442. Her daughter, Ann was a 1958 graduate of Warrensburg Central School. Opposite the Swan house on the corner of Main Street and Horicorn Avenue once stood the large and famous Warren House. 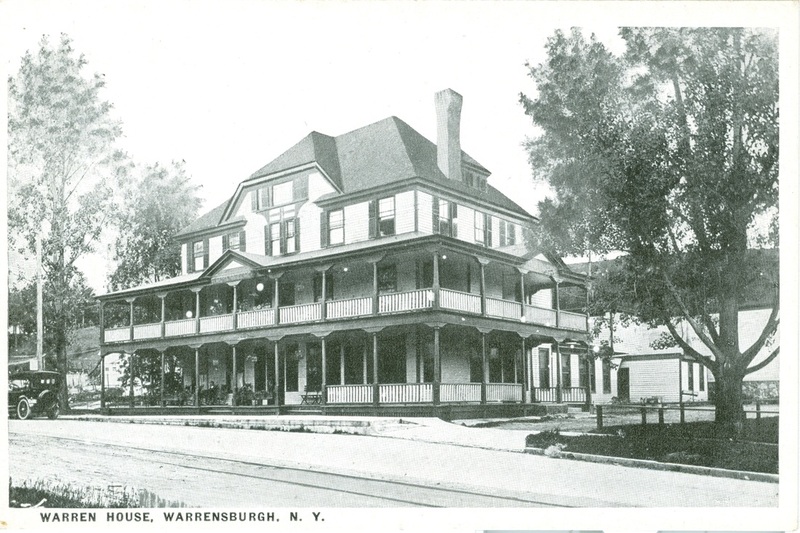 The proprietor, James Warren, was the gentleman for whom the town of Warrensburgh was named. All evidence of this illustrious hotel is gone. It was destroyed by fire during the winter of 1888-89, rebuilt in 1892, destroyed by fire, again, in 1921. After the second fire the area was gradually built up with other smaller and varied businesses. 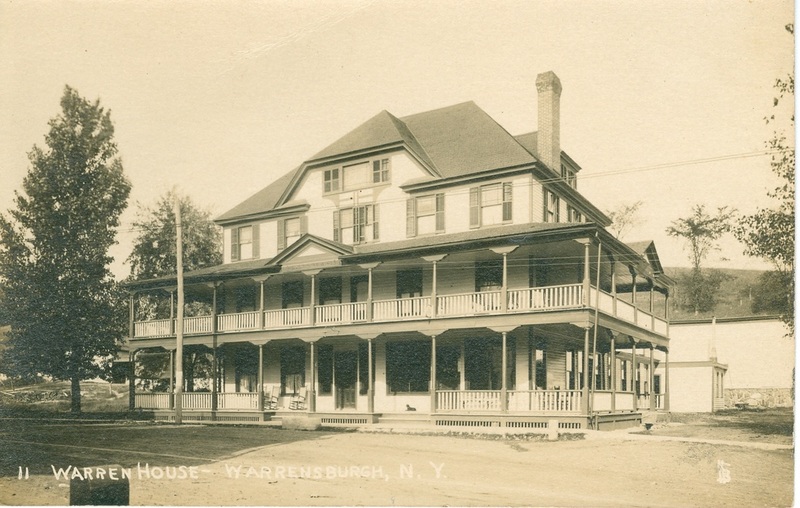 Reference to James Warren and the Warren House provides an opportunity to review the history of Warrensburgh and its origin, beginning with the time when the first know settler, William Bond, set foot on local soil. The town of Warrenburgh was formed form the old town of Thurman on the 12th day of February, 1813. The Warrensburgh Tract was patented by the State of New York and sub-divided for the purpose of paying off Revolutionary War Soldiers. The earliest known settler, William Bond, came to the United States from England in 1760, and, in 1786, moved to a tract of land two miles southwest from the site of the village of Warrensburgh. Bond's Pond (Echo Lake) was named for him. His deed, dated 1784, indicated that Bond paid 325 pounds for a tract of 7,500 acres. Records make no mention of him as he died before the present town was formed. 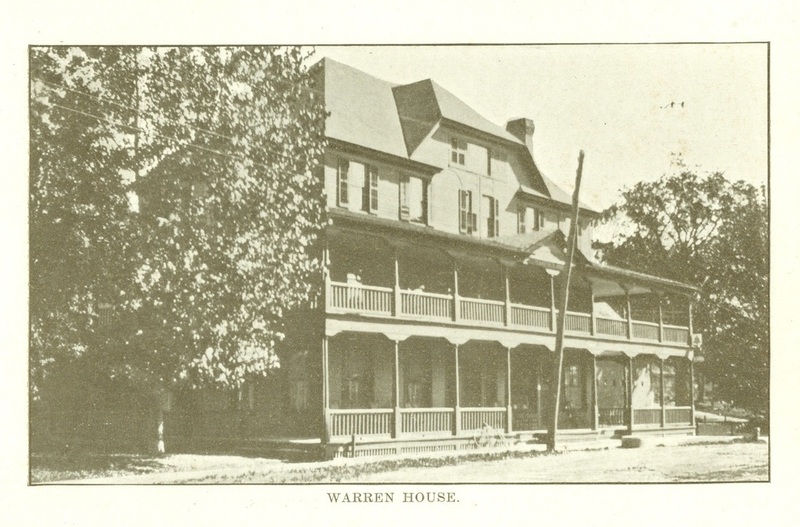 The county of Warren was named for the Revolutionary War hero, General Joseph Warren. The town of Warrensburgh was named for James Warren, who arrived here in 1804. 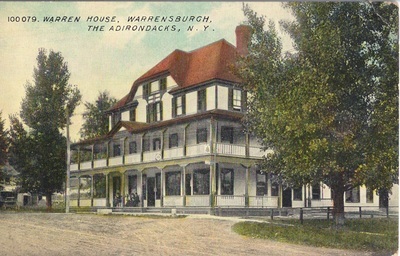 Warren purchased a farm from John Thurman upon which stood Pitts Taver, the original public house antedating the Warren House. 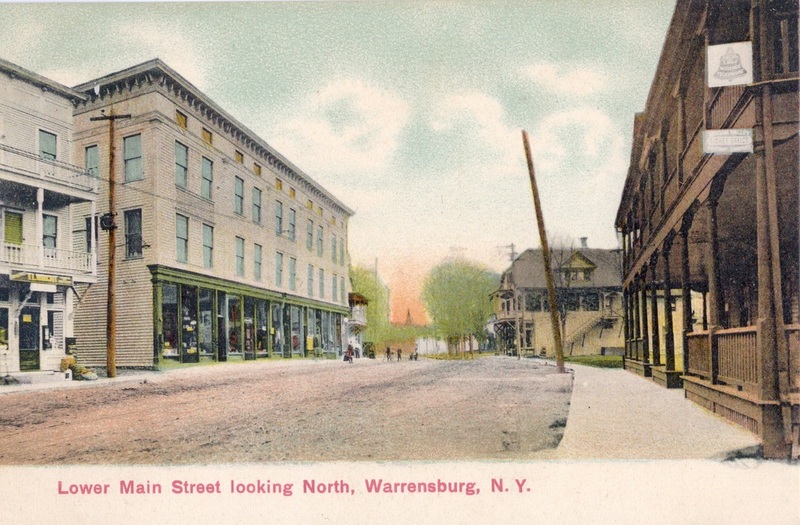 James Warren kept the first store in town, built and conducted an extensive potash factory on the north side of the Schroon River. In the early days, elections were held at different parts of town on three consecutive days, it being impossible to establish a central pint enabling all voting population to cast their vote and return home the same day. In 1811, James Warren, returning from elections hald on a farm in Thurman, was drowned by the upsetting of a skiff in the West River (Hudson River). His son, Nelson (age 10), was with him at the time and the harrowing experience reputedly turned the boy's hair white. 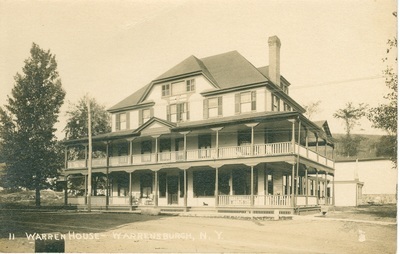 Two years after his fatality, the town of Warrensburgh was organized and names for him. 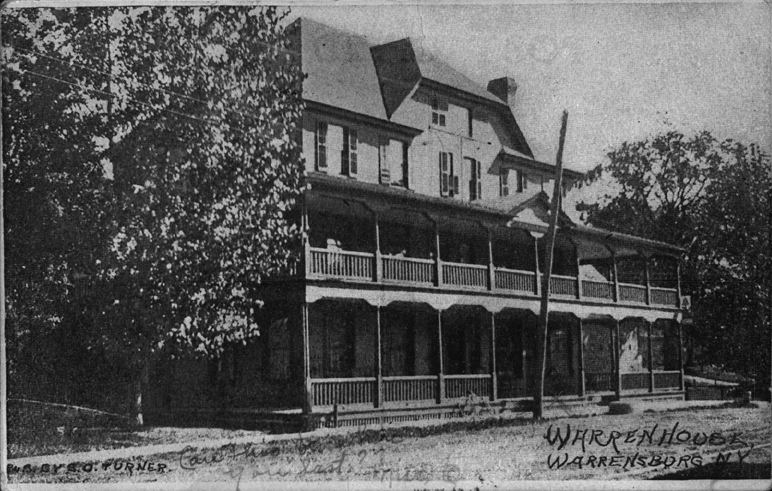 On April 4, 1813, the first town meeting was conducted by the widow of James Warren in the Warren House. It was the Warren House, also, tha housed the first post office in town, established in 1806, by Kitchell Bishop.